Wood came out amazing. Refinishing is really very easy -just takes some guts. So Chris got it back on it’s feet. A few chips were replaced, some sliders I cleaned were recleaned and I got it back in tip top functional condition. Sound-wise the Opus 3 was good, better in some ways than my Omni 2, but in the end the Omni 2 won out and I put the Opus 3 up for sale on eBay to help fund a recently purchased CS-50 in the past-tense. I was hoping to get the $490 I was into it back out of it and realistically expecting to get about $650. No mistaking that name plate. Bob knew the value of brand. I always start auctions at $9.99 for two reasons -I always sell stuff worth quite a bit more than $9.99 so I’m not worried about getting some minimum and so that when I get near the final price the item has had a bunch of bids. Other words of advice? Accuracy and lots of high quality pictures. $911!! 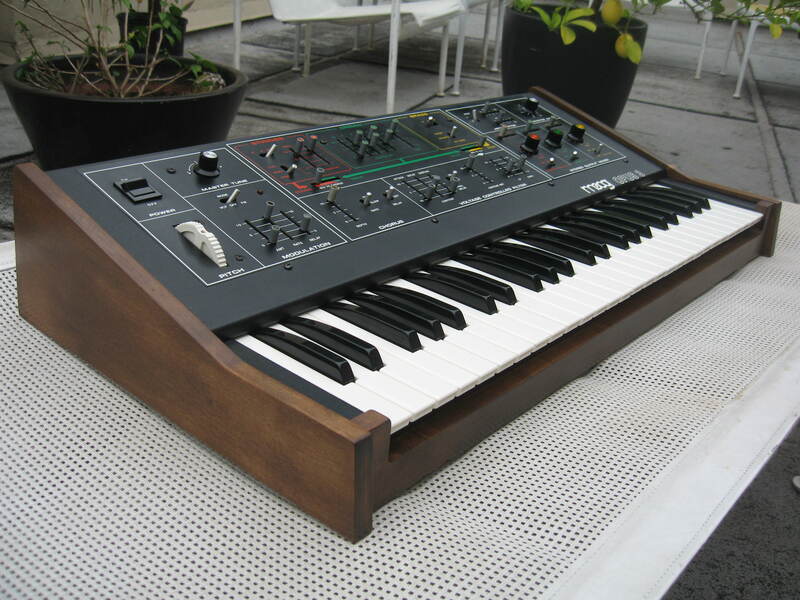 Pretty sure this is the highest price paid for an Opus 3 in a while. I think they were over $1000 new. Worth it though. Functionally this was good as new and physically probably better with the wood refinished as nicely as it was. 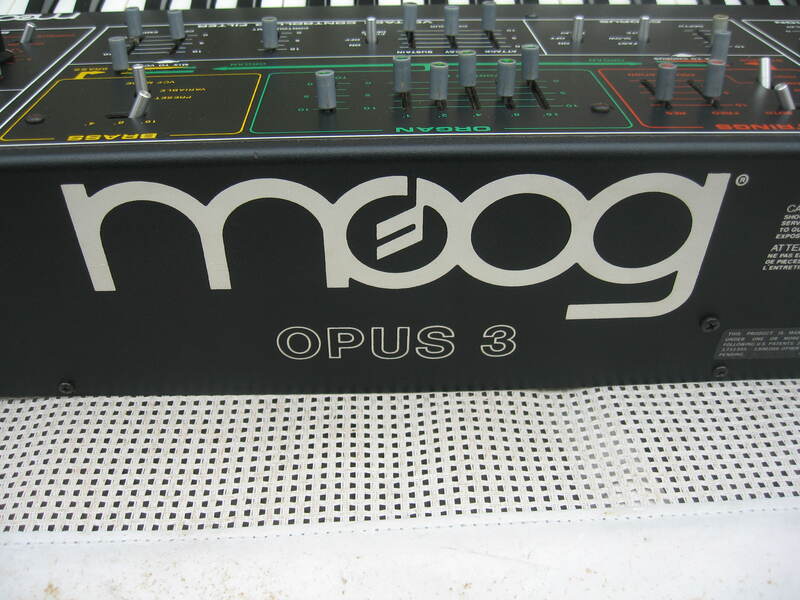 This entry was posted in Moog, Opus 3 and tagged Moog opus 3, synthesizer repair by Hamilton. Bookmark the permalink.